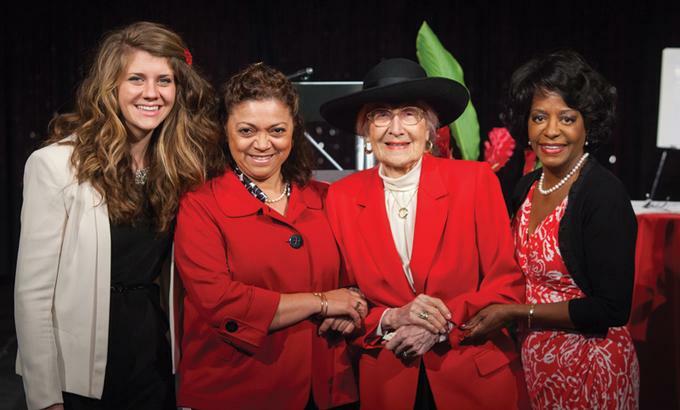 Biola honored four women with Ruby Awards during a special luncheon for Women’s History Month on March 20. The awards ceremony, now in its sixth year, honors Biola-affiliated women who model godly character. Above, from the left, are Janine Nichols, Nancy Fernandez, Virginia Moats and La Verne Tolbert.